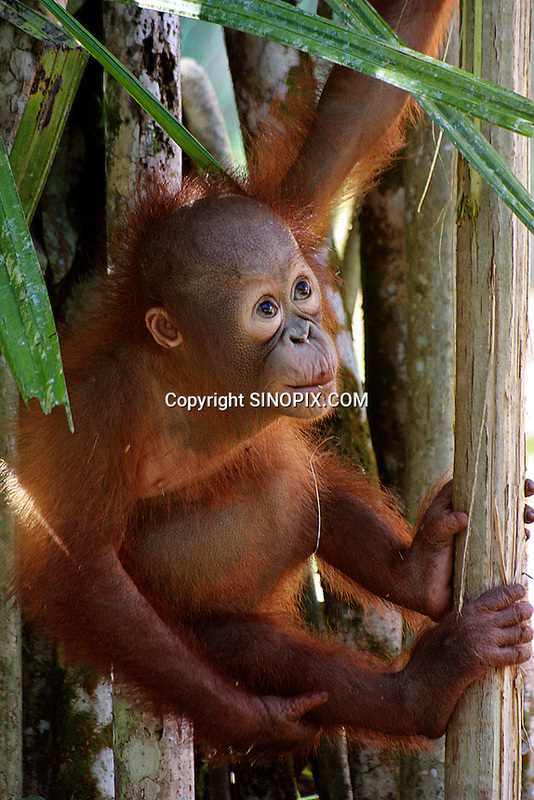 A recently rescued orangutang called Ali at Sarawaks's Orangutang Rehabilitation Programme at Matang. Ali is one of many Orangutang's that are rescued from the pet trade and from hunters that have killed their mothers. The Matang Orangutang Rehabilitation Center is coordinated by British man Leo Biddle and has been a resounding success.